Carpets absorb footsteps, accidental spills, dirt, and debris every single day, so getting your carpet professionally cleaned is a crucial task that often goes overlooked. 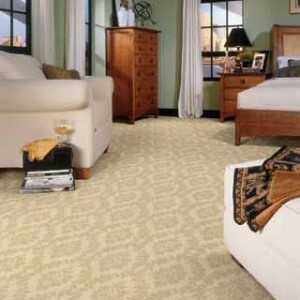 The feel and look of your carpet is essential to your home, as the carpet reflects the health of your living space. Your carpet should always be treated with care, and vacuumed weekly, at the very least. When it’s about that time that your carpet needs a thorough, complete cleaning, SoCal Steam Clean will be available to professionally do the job better than the rest. Our guarantee is backed by our word, as well as the satisfaction of our past and recurring customers. Our certified technicians are well versed in a multitude of carpet cleaning services, and will make your carpets look almost as clean as when they were first installed. The history of your carpet is made up of filth and build-up that is potentially hazardous to your health, and we can help fix that potentially dangerous wear and tear on your carpet. We use the most advanced technological carpet cleaning equipment, as well as the most efficient techniques, in removing everything from spots, heavy traffic areas, pet stains, and anything else that your carpet has happened to accumulate over the years. We promise to use the best treatment options that are suited for your particular carpet(s), not a cut-and-paste job, to make sure we fully revive your carpet’s appearance as best we can. In addition, many of the pesky odors will also be eliminated by our thorough cleansing process.